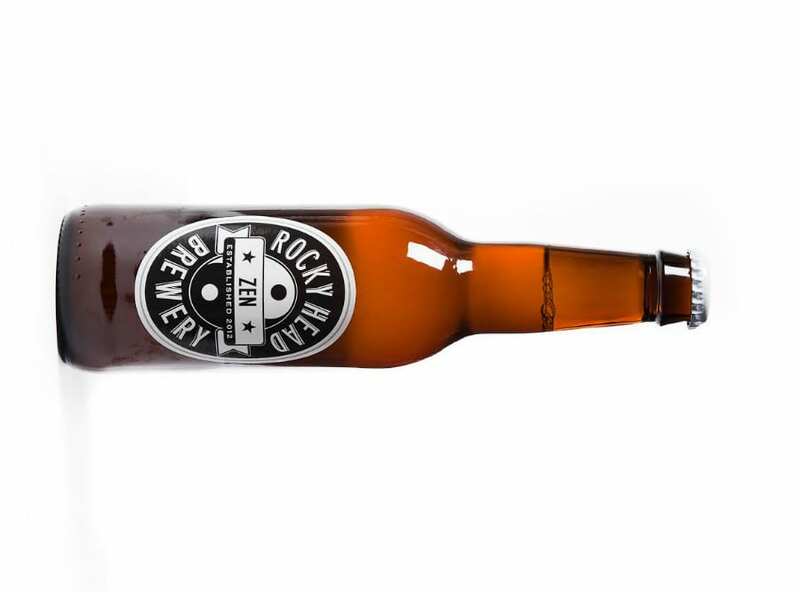 From the brewery’s own core range, Zen is a blonde American beer, and just one of Rocky Head’s India Pale Ale style brews. Unfiltered for optimum flavour, when poured a gold/straw body is topped with a thin white head, leaving a fair deal of sediment at the bottom of the bottle. Notes of tropical fruit are prominent on the nose, notably including passion fruit, and mango, joined by a touch of clementine, grapefruit and slight back notes of pine and caramel malt. The American hops, as well as the fruit aromas, also carry on into the taste, thus providing a refreshing bitterness that’s rounded off with a long, crisp finish. A considerably accomplished beer that ranks amongst London’s finest craft beer offerings.